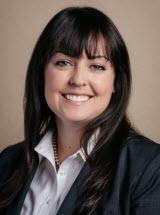 Jennifer F. Scharre is an attorney with Temmerman, Cilley & Kohlmann, LLP in San Jose, California. Mrs. Scharre's practice includes estate planning, estate administration, beneficiary representations, conservatorship matters and guardianship matters. Her estate planning practice includes the preparation of revocable trusts, irrevocable trusts, and wills, as well as incapacity planning documents. Mrs. Scharre's trust and decedent's estate administration practice includes representation of trustees, personal representatives, and beneficiaries in all aspects of trust administration and probate including preparation of trust accountings and estate tax returns. Mrs. Scharre's Accounting degree from the University of San Diego makes her uniquely equipped to assist clients in complex estate planning and estate administration. Ms. Scharre earned her J.D. degree from Santa Clara University School of Law. Jennifer not only gives back to the legal community through speaking and presentations for professional organizations but also participates in her local community by providing informative presentations regarding estate planning, charitable giving, and special needs issues.